We love dogs! Julia, our Business Development Manager, recently added to the pack that comes to our office by adopting a dog named Lizzy. 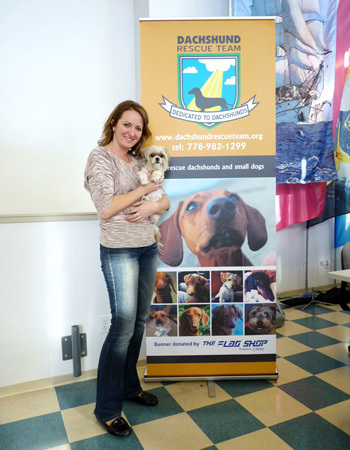 As a way of saying thank you to Dachshund Rescue Team for matching her with her new friend and facilitating the adoption process, we designed and printed a custom retractable banner for them. Angela at Dachshund Rescue Team will be using it for different trade shows and events that they attend to spread awareness for their organization.